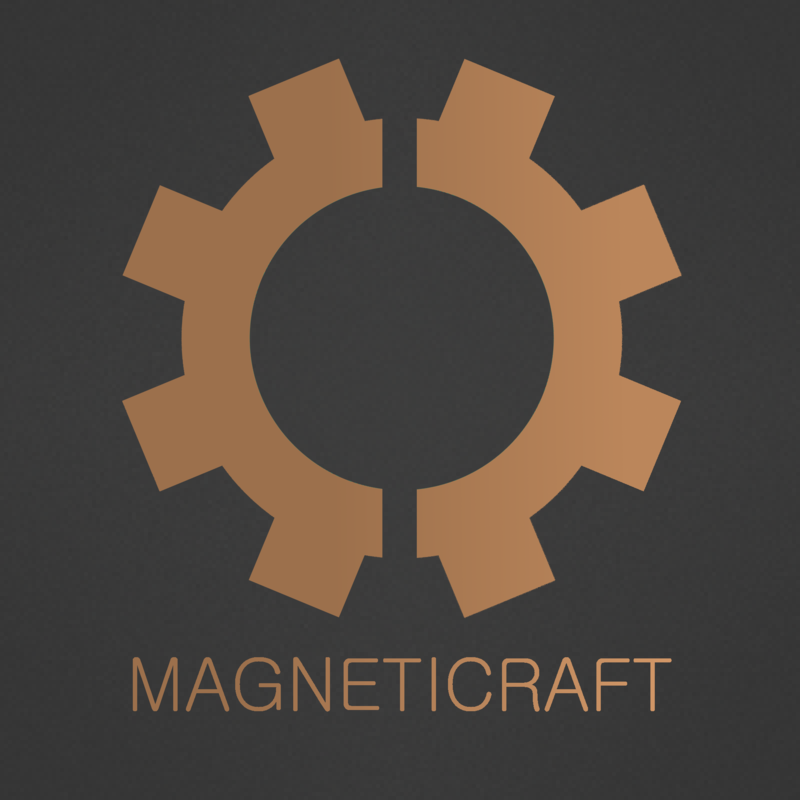 Magneticraft is a mod for those looking for more realistic approach to machines and factories. Thanks TechDragon for the awesome mod spotlight. We have a discord channel, which is the best way to contact us. Q: Can I add this to my Modpack? A: Yes, as long as you have a reference back to this post. Q: Why is this feature missing? When it's going to be added? Q: Can I fork the mod, update it add redistribute a new version? Q: How do you convert RF/FE into Electricity (Joules)? CyanideX for helping/doing some of the textures. Yulife for helping with some of the textures. DivineAspect for helping us lay things out and for helping come up with ideas. This mod introduces two types of energy: Electricity and Heat, as well as many machines producing them, converting them into each other and using them for things such as mining, ore processing or oil processing. Electricity and Heat can be produced by different sources, including wind, solid fuel, oil, solar panels and others. Electricity can also be generated from Thermal Expansion RF, RailCraft Charge or IndustrialCraft2 EU and can be converted into RF. If mod crashes or you see something in the mod that doesn't work properly, please report the bug on the github bug tracker. ACk, was looking forward to coming back to minecraft and messing around with this mod. I understand time constraints but I hope you guys get back around to it again eventually, I liked how it was turning out. In any case, thanks for taking the time to make mods and making minecraft more enjoyable for all of us. So, this is inda IE just it was before that? I know it is a bit late. But the reason for stopping development is really quite simple. cout lost motivation in developing it. We couldn't get anyone else to help consistently. I have gotten busy doing game development. So it just doesn't make sense to continue it any more. That is seriously sad.... This mod had one of the BEST visuals that has ever touched minecraft on par with immersive engineering! In fact both of them together made the most beautiful factories ever. I really hope someone (or u guys) decides to pick it back up sometime. At the very least the machines and general models in this mod should be used in SOMETHING! They are beyond amazing. I hope so too. I'm currently looking to replace Immersive Engineering (for reasons I won't get into here). I hope in the near future someone takes up the mantle. It would be a shame to see this mod die. Yeah, I really like how the mod was turning out. It’s a shame they stopped developing it. Yeah, someone COULD take it over, except they did a silly thing and decided to port the mod to Kotlin instead of staying with Java. The amount of people who are both skilled in Kotlin and interested in forking/maintaining the mod is a pretty small amount. A "relatively-obscure language" except that is supported by Google and it's used by a lot of android developers. I would prefer to abandon the mod earlier than have to write it in java again. Also Kotlin is very nice, I encourage anyone to try it out, even if you are not going to use, because you learn a lot in the process. Kotlin makes you life easier with a bunch of convenient features while java only adds a feature like 'var' every couple of years. At the end of the day, what matters to me is to have fun, and Kotlin a heck of a lot more fun than java. OK, so re-writing to Kotlin actually seemed to have rekindled your interest in modding. Fair enough, apologies. I appreciate you sharing the background on why you've moved on from Minecraft modding, though, and I apologize for the tone. I suppose I'm just a bit bitter about it (that there seems to be nobody who wants to maintain the mod and is also experienced enough in Kotlin to understand it, let alone continue development). So many great mods in the past have been left to rot just because they're written in Scala and nobody has the time to maintain it. I don't want to start an argument here about why one language is better than another (all programming languages are terrible in their own special ways), but suffice it to say the summary of my opinion is that Kotlin isn't any more useful than Java + Lombok *if* you're programming to reach a goal (you feel satisfaction from the total end result of programming) rather than academic programming (satisfaction from the actual programming). I bought a ticket to that Kotlin hype train back when everyone else did too, and after a few months I just regretted wasting my time. can you post the crash log (in hastebin or something similar)? without info, there is nothing that I can do. hello dose anyone know how in the current version of the mod to transfer power between IE (immersive engineering) and this? it seems to work fine magneticraft to IE but will not go the other way. i really like this mod and want to use it with IE and immersive railroading but not being able to convert power both ways its a big pain.